If you're looking for an Inverrary Accident Attorney you can trust, call the Law Offices of Robert E. Gluck, P.A. Robert Gluck has been a lawyer since 1989 and has the experience necessary to represent you in any type of accident case you have. Whether you've been injured due to a defective product or as a result of a slip and fall, you can count on him and his legal team. 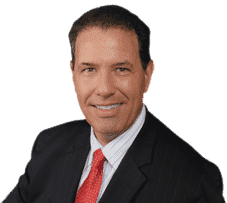 When you've suffered any injuries as a result of an accident that was someone else's fault, you should immediately call Robert Gluck and hire him as your Inverrary Accident Attorney. He will be able to get started on an investigation and look into the details of your accident. He'll gather all the evidence he will need to prove negligence and build a strong case for you. Negligence is the legal standard a reasonable person must follow to avoid injury to another person. If your Inverrary Accident Attorney can prove negligence existed at the time of your accident, he will be able to move forward with your case. He will launch a thorough investigation into your claim and prove someone else should be held financially responsible for your injuries. Inverrary Accident Attorney Robert Gluck will start by looking for witnesses to the accident and taking down their statements. He will then take photographs of the accident scene, secure any available video surveillance, assess any property damage that occurred, and find other evidence he believes will be crucial in proving your case and getting you the compensation you deserve.